America's love of manned flight started with the Wright brothers and continues unabated during this century. World War II showcased the important role aviation would play in the future and national leaders recognized the importance of stimulating public interest in aerospace activities. CAP, as the civilian Auxiliary of the U.S. Air Force, was most suited to perform this mission. Their efforts focused on two different audiences - internal CAP members and the general public. The internal programs ensure that all CAP members (seniors and cadets) have an appreciation for and knowledge of aerospace issues. A rigorous educational program is tied to promotions at every level in the CAP organization. Aerospace educators working out of CAP's National Headquarters at Maxwell AFB, Ala., provide materials that are current and reflect the highest standards of educational excellence. The congressional charter also tasked CAP to stimulate public interest in aerospace issues. These external programs are primarily conducted through our nation's education systems. Each year, CAP sponsors nearly 200 workshops in colleges and universities across the nation which reach more than 5,000 educators. These workshops highlight basic aerospace knowledge and focus on advances in aerospace technology. Textbooks, learning tools, and visual aids geared to stimulate interest in aerospace matters also are provided for teachers to use in their classrooms. Other important services offered include assistance in curriculum planning at all levels and educational materials for use by teachers in their classrooms. CAP's Center for Aerospace Education Development develops, publishes and distributes materials to teachers. These materials range from pamphlets and activity booklets to a complete high school elective course. They are produced and sold at a cost far below commercially available products. CAP keeps in close contact with education departments at all levels and with agencies such as the National Aeronautics and Space Administration, National Air and Space Museum, and the Air Force Association. These contacts promote and expand aerospace education in the nation's schools. Also, the CAP provides yearly scholarship funds to cadet and senior members. These funds help finance college studies in engineering, the humanities, education, science and other fields relating to air and space. 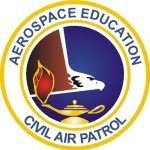 Seniors may participate in the Aerospace Education Program for Senior Members (AEPSM) and earn the Charles E. ‘Chuck' Yeager Aerospace Education Achievement Award (pictured below).